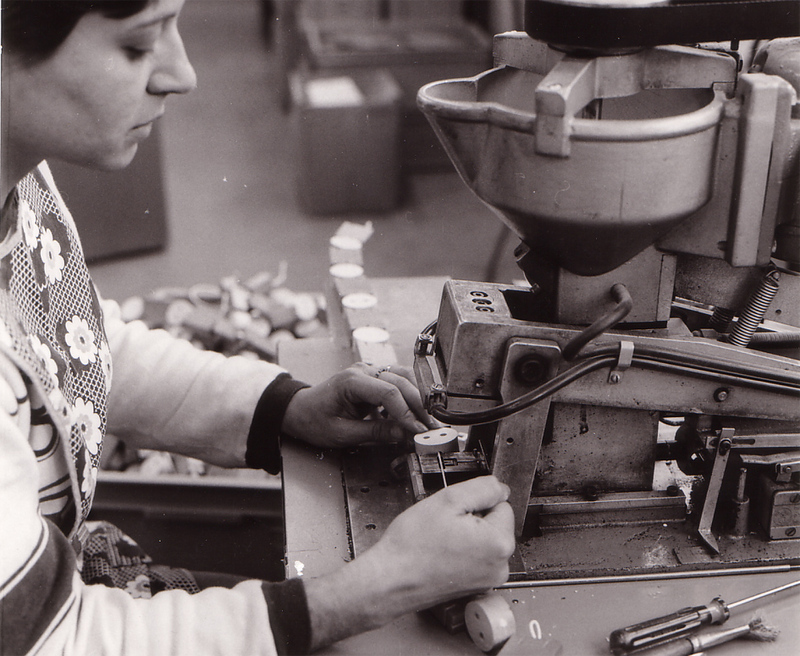 Kurt Naef founds a company in Basel, Switzerland under the name Kurt Naef. His company’s focus is on furniture and interior design. Kurt Naef changes his logo as well as his location. The company moves to a more spacious premise in Basel. The art industry is still an important part of the daily work, but the high-quality toys are becoming more prominent in the assortment. Kurt Naef acquires the company Vitali, which specializes in the production of wooden animals. Both companies are able to benefit from each other. The expanding production requires more space. A modern production plant is built in Zeiningen, Aargau. The business employs up to 40 employees in peak periods. The range of products is widened by collaboration with well-known designers such as Peer Clahsen, Jo Niemeyer, Yasauo Aizawa, Werner Panton, Xavier de Clippeleir etc. Two Japanese ladies visit Zeiningen, able business women as is clear afterwards. After talks, an exclusive agreement is worked out for Japan. Naef and Niki Tiki still enjoy a successful and fruitful relationship to this day. 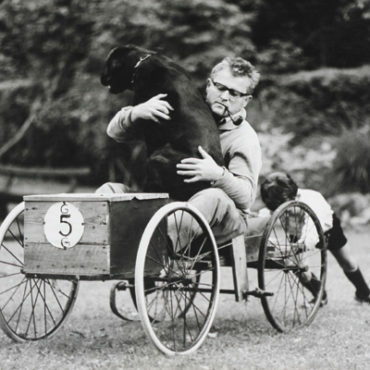 Through his work with Hans-Maria Wingler, at the time director of the Bauhaus museum, Kurt Naef acquires the reproduction rights for play objects from the Bauhaus era. 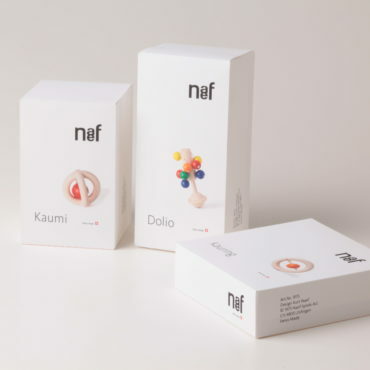 Since then, ”Optische Farbmischer“ (optical mixer of colours),”Bauhaus Bauspiel“ (Bauhaus building game) and ”Bauhaus Schach“ (Bauhaus chess pieces) are among the range of products – another milestone for the Naef company. While travelling abroad, Kurt Naef continues to discover new objects which he can import into Switzerland. One of the most successful is a glockenspiel by the company Woodstock, USA. Kurt Naef sells the company to a long-standing supplier. A new manager is appointed. The company ”Kurt Naef” is converted into a joint-stock company and named ”Naef AG“. The company enters a state of crisis and nearly goes bankrupt. A small group of investors led by Kurt Naef succeed in repurchasing the company. 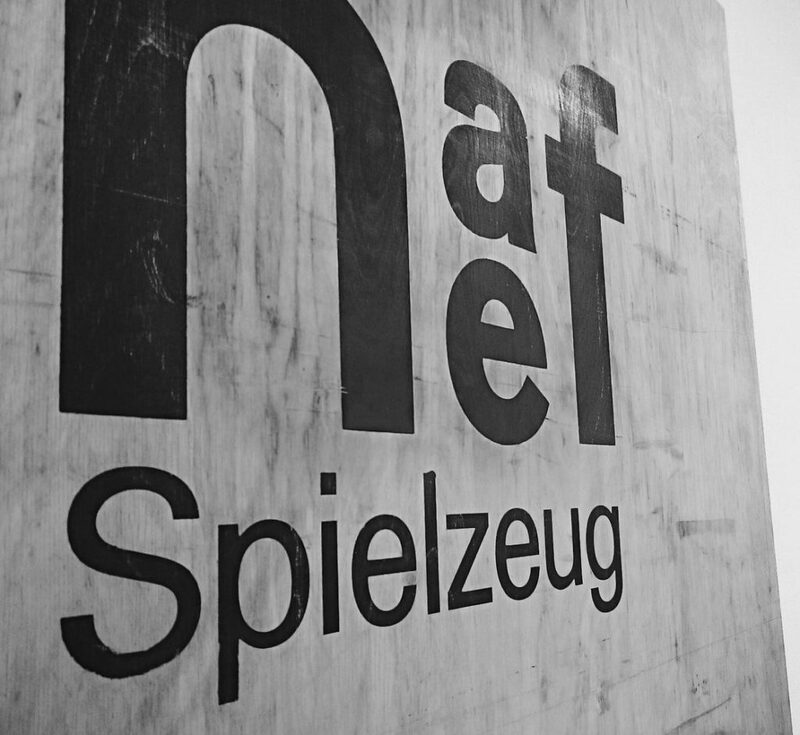 Under the name ”Naef Spiele AG”, the company is moved to Zofingen where Kurt Naef and his wife Lotti are living. Since then, Hans-Peter Engeler, Lotti’s son, runs the Company. It is a family-owned business once again. Launch of a new corporate design, website with online shop and a new catalogue. Naef Spiele AG is now modern and outgoing, small and exclusive. 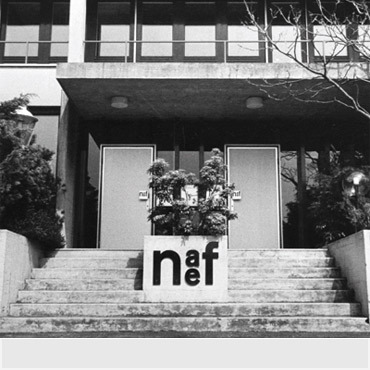 A new museum/archive is established in the office premises of Naef Spiele AG in Zofingen. Many objects from bygone times can be seen here and a bit of nostalgia. A shop is also opened. 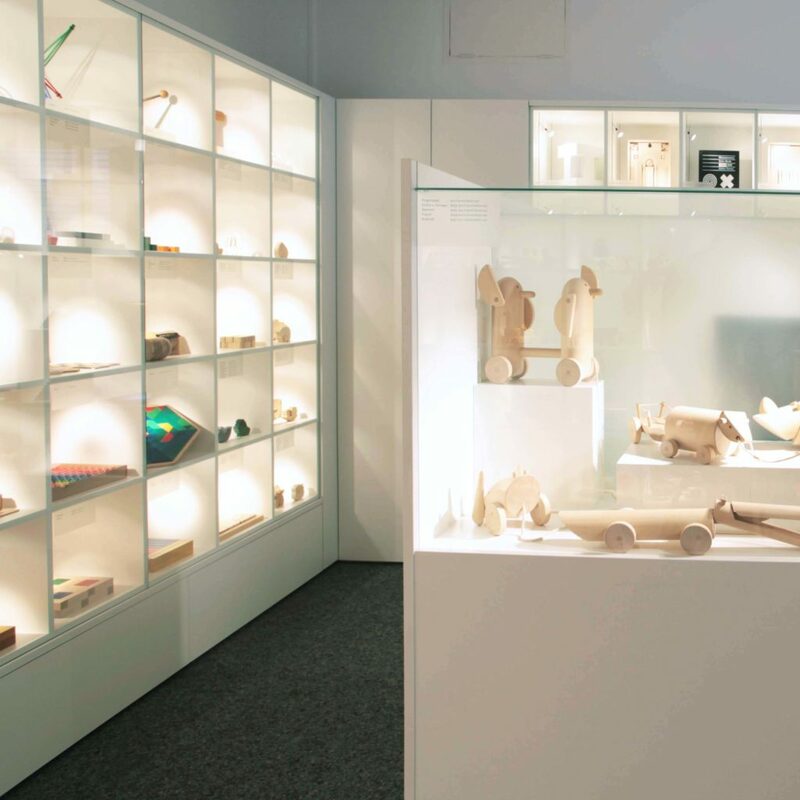 Museum and shop are open Monday to Friday from 8.00–12.00 / 13.30–17.00. Relocation of production to Southern Germany and move into new central warehouse. Management, administration and development operations remain in Zofingen, Switzerland. China is developed as a market. Formation of ”Naef China“. 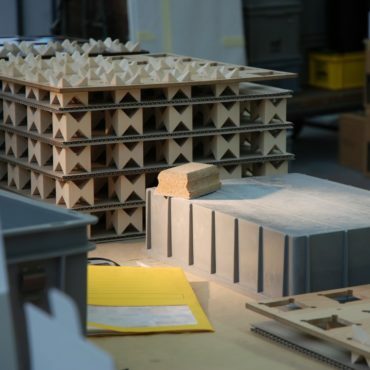 At the exhibition ”Century of the Child“ in the Museum of Modern Art in New York, a mountain of 1000 ”Naef building bricks“ represents the company. Japan celebrates 150 years of diplomatic relations with Switzerland and invites renowned Swiss companies to exhibit their products. 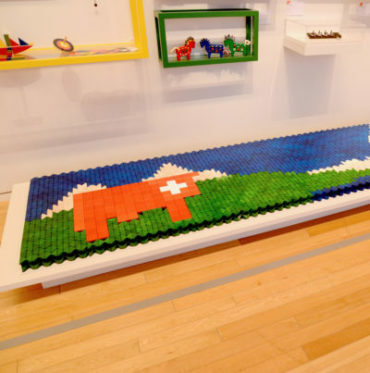 The Naef exhibit consists of a huge picture of the Matterhorn which is made up of colourful ”Naef building bricks“.